208 pgs., historic photos, sketches & illustrations. 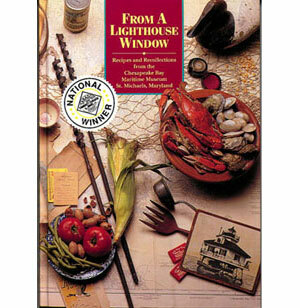 Recipes and recollections peppered with history and interest from the Chesapeake region, it offers selections from old English settlers' recipes to southern dishes as well as modern, internationally-inspired seafood recipes, local delicacies, and Rum Rosies, the beverage that inspired the book. Tells the story of Marylands' Eastern Shore in a way that no food lover will forget! Great recipes, whether you are preparing an intimate meal, or having the whole town over for a chicken barbeque.